The American Library Association’s CSK awards are presented once a year to African-American authors and illustrators whose children’s books shine light on African-American culture and humanity as a whole. The awards are the namesake of Coretta Scott King, wife of Dr. Martin Luther King, Jr.
“A Few Red Drops” covers the events that took place after a black teenager was killed by a group of young whites after breeching an unofficial line of segregation at a Lake Michigan beach. Thirty-eight people had died by the time the eight-day riot was finally over, according to History.com. 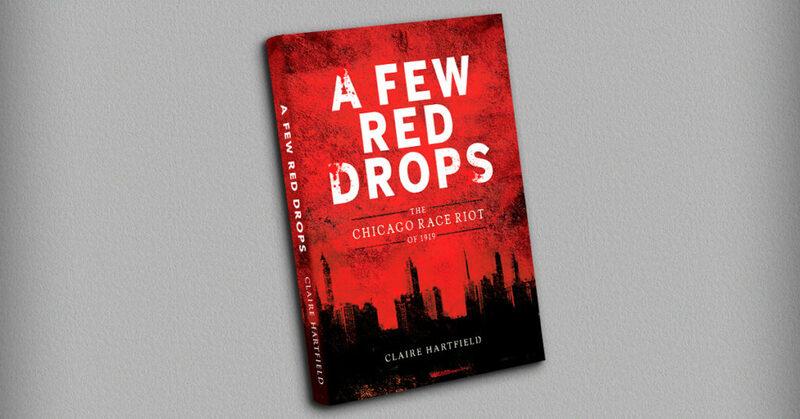 In a recent interview, Hartfield told WBEZ the she herself first learned of the 1919 riot from her grandmother, who experienced the event firsthand as a young woman living in Chicago’s Bronzeville neighborhood. For young people of today growing up amid racial tensions fueled by events such as those in Baltimore and Ferguson, Missouri, Hartfield said she hopes her book will help draw parallels between the 1919 riot and their own life experiences. For more on Ms. Hartfield’s books, visit clairehartfield.com. Visit ala.org to see the full list of 2019 Coretta Scott King Book Award winners.